Professor Deborah Roberts is Director of Science. She holds a joint post as Chair in Real Estate in the Business School, University of Aberdeen. 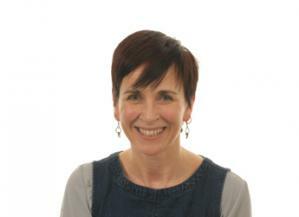 Her research experience spans agricultural economics and regional science and she has undertaken work for a wide range of funding bodies including the European Commission, DEFRA, ESRC, the Scottish Government, Forestry Commission, Scottish Natural Heritage and the Joseph Rowntree Foundation. Deb has research interests in a number of inter-related areas. First, in relation to rural and regional development she focuses on understanding how and why rural economies are unique, the key drivers for change, and reasons for regional disparities. Second, in relation to the policy, she has focussed on modelling the economy-wide impacts of changes in farm, forestry and structural policies using social accounting methods and general equilibrium models. She has also carried research at the micro-level looking at farm household behaviour and the dynamics of fuel poverty. Increasingly her work has considered the importance of allowing for spatial effects and interdependencies in understanding rural markets including, for example, the spatial pattern of farm household transactions, and links between rural and urban housing markets arising from commuting and counterurbanisation. Impacts of Household Incomes on Food Demand in Developing Countries: A Meta-Analysis. European Commission, Joint Research Centre. The comparative costs of community and commercial renewable energy projects in Scotland. Understanding the land ownership barriers to community land-based activities. Delivering Food Security on Limited Land. Sébastien, M.; Phimister, E.; Roberts, D.; Santini, F. (In press) A Monte Carlo filtering application for systematic sensitivity analysis of computable general equilibrium result., Economic Systems Research. Abdul-Salam, Y.; Hawes, C.; Roberts, D.; Young, M. (2019) The economics of alternative crop production systems in the context of farmer participation in carbon trading markets., Agroecology and Sustainable Food Systems, 43, 67-91. Berka, A.L. ; Harnmeijer, J.; Roberts, D.; Phimister, E.; Msika, J. (2017) A comparative analysis of the costs of onshore wind energy: Is there a case for community-specific policy support?, Energy Policy, 106, 394-403. Phimister, E.; Roberts, D. (2017) Allowing for uncertainty in exogenous shocks to CGE models: the case of a new renewable energy sector., Economic Systems Research, 29, 509-527. Gilbert, A.; Colley, K.; Roberts, D. (2016) Are rural residents happier? A quantitative analysis of subjective wellbeing in Scotland., Journal of Rural Studies, 44, 37-45. Cook, P.; Booth, J.; Roberts, D.; Hopkins, J.; Slee, B.; Grieve, J. (2016) The land based sector in NE Scotland: facing the future (Summary and Main reports)., Report for Aberdeenshire Council, March 2016. Roberts, D.; Vera-Toscano, E.; Phimister, E. (2015) Fuel poverty in the UK: Is there a difference between rural and urban areas?, Energy Policy, 87, 216-223. Phimister, E.; Vera-Toscano, E.; Roberts, D. (2015) The dynamics of energy poverty: evidence from Spain., Economics of Energy and Environmental Policy, 4, 153-166. Pangbourne, K.; Roberts, D. (2015) Small towns and agriculture: understanding the spatial pattern of farm linkages., European Planning Studies, 23, 494-508. Espinosa, M.; Psaltopoulos, D.; Santini, F.; Phimister, E.; Roberts, D.; Mary, S.; Ratinger, T.; Skuras, D.; Balamou, E.; Cardenette, M.; Paloma, S. (2014) Ex-ante analysis of the regional impacts of the Common Agricultural Policy: a rural-urban recursive dynamic CGE model approach., European Planning Studies, 22, 1342-1367. Liu, N.; Roberts, D. (2013) Counter urbanisation, planning and house prices: an analysis of the Aberdeen housing market area, 1984 - 2010., Town Planning Review, 84, 81-105. Roberts, D.; Majewski, E.; Sulewski, P. (2013) Farm household interactions with local economies: A comparison of two EU case study areas., Land Use Policy, 31, 156-165. Miller, D.R. ; Birnie, R.V. ; Dunn, S.M. ; Hough, R.L. ; Morrice, J.; Roberts, D.; Stutter, M.I. ; Sutherland, L-A. ; Towers, W. (2013) Review of renewable energy research at the James Hutton Institute., Report to Scottish Government. Roberts, D.; Thomson, K.; Dinnie, L.; Brown, K.; Martin-Ortega, J.; McKee, A.; Prager, K.; Pages, M.; Towers, W.; Munoz-Rojas, J.; Slee, B. (2013) Improving implementationn and increasing uptake of measures to improve water quality in Scotland: key messages for informing policy makers., Scottish Government Land Reform Review Group (LRRG): Call for Evidence - Submission on behalf of the James Hutton Institute, Aberdeen, 11 January 2013. Pouliakas, K.; Roberts, D.; Balamou, E.; Psaltopoulos, D. (2014) Modelling the effects of immigration on regional economic performance and wage distribution: a computable general equilibrium (CGE) analysis of three European Union regions., Regional Studies, 48, 318-338. Devaney, S.; Roberts, D. (2012) Who gets the jobs? Factors influencing the employability of property and construction graduates in the UK., Construction, Management and Economics, 30, 233-246. Liu, N.; Roberts, D. (2012) Do incomers pay more for rural housing?, Environment and Planning A, 44, 1986-2005. Phimister, E.; Roberts, D. (2012) The role of ownership in determining the rural economic benefits of on-shore wind farms., Journal of Agricultural Economics, 63, 331-360. Laing, R.; Buda, G.; Devaney S.; Roberts, D. (2011) Built environment higher education in Scotland: pressures, challenges and change in uncertain times., CEBE Transactions, 8, 41-59. Johnson, T.J.; Roberts, D.J. ; Wojan, T.R. (2010) Model-based evaluation of rural development policies., Eurochoices, 9, 30-36. Roberts, D.; Newlands, D. (2010) The economic integration of new sectors in rural areas: a case study of the Shetland economy., Environment and Planning A, 42, 2687-2704. Phimister, E.; Roberts, D. (2006) The effect of off-farm work on the intensity of agricultural production., Environmental and Resource Economics, 34, 493-515. Roberts, D. (2005) The role of households in sustaining rural economies: a structural path analysis., European Review of Agricultural Economics, 32, 393-420. Thomson, K.; Roberts, D. (2004) The Common Agricultural Policy and its territorial impact., Territoires 2020, DATAR (Delegation a l'amenagement du territoire et a l'action regionale.) Summer, 2004.